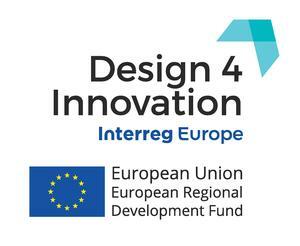 Design4Innovation is a collaborative project organized by eight European partners dedicated to promoting design as a tool for user-centred innovation, and is funded under the Interreg Europe Programme of the European Commission. Valletta 2018 is Malta’s partner in the project, while the Valletta Design Cluster is one of its key national stakeholders. European partners include design promotion agencies such as the Barcelona Design Centre, innovation centres and enterprise support agencies. PDR, a major international design consultancy based at the Card iff Metropolitan University, is the project lead partner. The project runs between 2017 and 2021 and a meeting bringing all partners together in Valletta was held in April 2018. More information on the project can be accessed here https://www.interregeurope.eu/design4innovation/.